JAX INC. is a US-based, international industrial lubricant manufacturer with expertise formulating high-performance synthetic lubricants, fleet and heavy-duty lubricants, industrial lubricants and biodegradable and food-grade lubricants. Since 1955, JAX has earned a worldwide reputation as a leader in emergent lubrication technology. 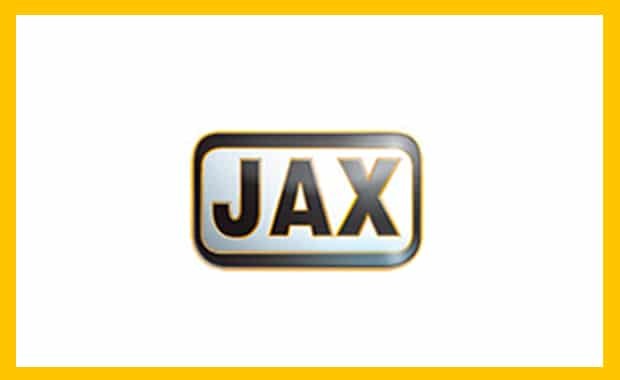 With a daily blending capacity of over 100,000 gallons, JAX lubricants protect extremely diverse OEM machinery. Why JAX Food Grade Lubricants? Compounded with the finest raw materials and additive chemistries, JAX formulation decisions are based upon product quality and field performance leading to substantial cost savings through extended machine life, reduced downtime and increased production. Our field team reacts quickly to new opportunities and is motivated to solve lubrication issues with innovative tactics and novel chemistries. Formulated specifically to meet NSF H1 requirements for occasional contact in the food and beverage processing industries. They can be used in food processing equipment as an anti-corrosive film, as a separating agent in joints or sealant and as a lubricant for parts of machines and equipment where the lubricated part is potentially exposed to food. The amount of product used must be the minimum necessary to meet the technical requirement for each of the desired applications. The formulation of JAX industrial lubricants is based on performance and quality, which ultimately leads to substantial and verifiable savings in terms of extended machine life, reduced downtime, maintenance of lubricants and increased of the production.